Sahid Kuta Lifestyle Resort unveils a world of class and sophistication with the opening of Sheraton Bali Kuta Resort, a new Ocean front retreat. This embodiment of luxury amidst a myriad of amenities and services will celebrate the New Kuta Experience with the opening of Feast multi-cuisine dining. Bali’s new café restaurant is breaking down the walls of traditional dining in Kuta with its unrivalled contemporary setting with emphasis on bold magenta and vibrant action. The 160-seat restaurant, appeals to food lovers by offering a stimulating dining experience with a one-price, value-for-money, multi-cuisine served on open kitchens and individual food stations. 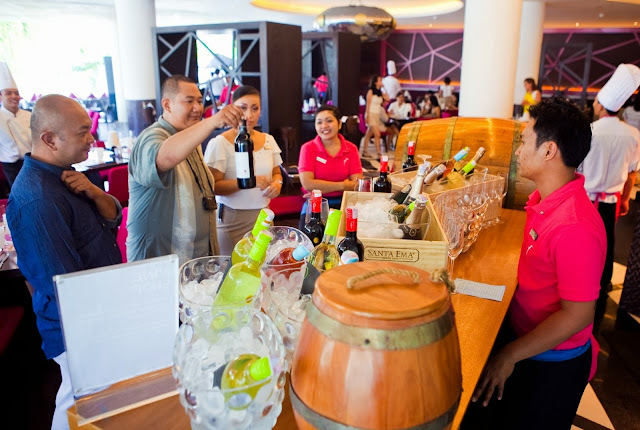 Feast also offers an option of outdoor dining, by the patio with bustling Kuta and beachwalk shopping scenery. “Feast reinterprets the New Kuta experience with its interactive and bustling experience fused into its cuisine – it is playful, innovative and fresh. 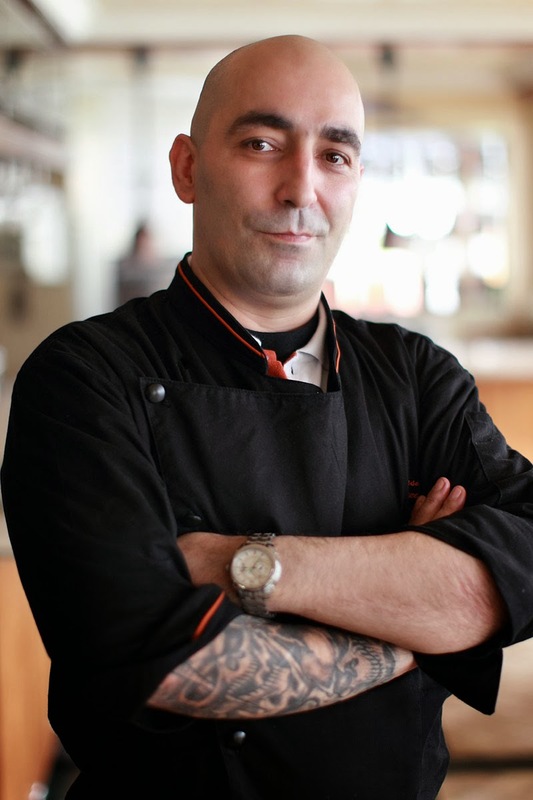 Like a Sunday market, Feast presents a vast and irresistible array of colors, flavors and aromas; and our chefs act as maestros who orchestrate a feast for guests by cooking farm-to-table ingredients right on the spot,” said the resort’s Executive Chef, Rossano Renzelli. 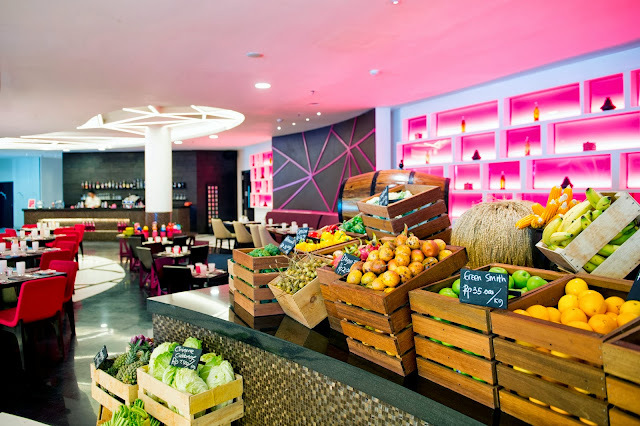 Feast’s open kitchens and the live-action food stations are loaded with an abundance of fresh ingredients and authentic global cuisines from over 10 countries — creates a vibrant visual impact and sense of anticipation. The restaurant’s signature iridescent design also allows diners to interact with culinary masters who share each cuisine’s specialty and even prepare cook-to-order recipe. The personalized cooking stations include a Sweet Station, a Seafood Bar with the signature live Mud Crab, a Western Grill Station, a Middle Eastern Station featuring a selection of Shwarma and Couscous, an Asian Station with special regional selections, as well as an authentic barbecue and Indian Tandoori Station. Complementing the multi-cuisine concept are the various ethnic Martini's, using globally sourced ingredients for the infused spirits and liquors, as well as a selection of wines by the glass from Starwood’s Wines of The World collection. One of the must-try, the Peter Lehmann Eden Valley dry Riesling a perfect pair with the signature live Mud Crab. The beachwalk bustling patio is visible from the restaurant’s floor-to-ceiling windows complements the energy of Feast. The beauty of the contemporary interior is uplifted with lighting effects and the use of funky pink elements, finished with natural materials such as white marbles, glass and wood throughout the restaurant’s décor. Even the custom-designed chinaware, cutlery and glassware reflect the energetic theme. Along with its sister dining venues – Bene and The Lounge, Feast was formulated as part of Sheraton Bali Kuta Resort opening to Celebrate the New Kuta Experience, which takes place on 1 December 2012. Feast is open daily from 6 am to midnight. For reservations, call (62) (361) 846 5555. Sheraton helps guests make connections at more than 400 hotels in 70 countries around the world and recently completed a $6 billion global revitalization and is now in the midst of a $5 billion global expansion over the next three years. Sheraton is owned by and is the largest and most global brand of Starwood Hotels & Resorts Worldwide, Inc., one of the leading hotel and leisure companies in the world with 1051 properties in 100 countries and territories with 145,000 employees at its owned and managed properties. Starwood Hotels is a fully integrated owner, operator and franchisor of hotels, resorts and residences with the following internationally renowned brands: St. Regis®, The Luxury Collection®, W®, Westin®, Le Méridien®, Sheraton®, Four Points® by Sheraton, and the recently launched Aloft®, and Element SM. Starwood Hotels also owns Starwood Vacation Ownership, Inc., one of the premier developers and operators of high quality vacation interval ownership resorts. For more information, please visit www.starwoodhotels.com.